The updated Hyundai Creta will see subtle cosmetic revisions, new features and dual-tone colour options too. 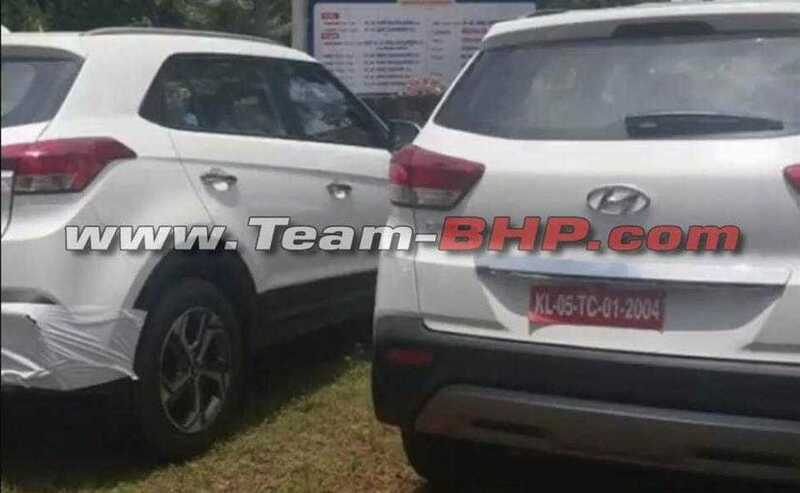 Hyundai India will be introducing the updated Creta facelift soon and the compact SUV has started arriving at dealerships, hinting towards an imminent launch. The Hyundai Creta facelift was first revealed in China last year and the model comes to the Indian market with visual upgrades, new features and the option of dual-tone colours added to the palette. Launched in 2015, the Hyundai Creta turned out to be a massive hit right from the start and the facelift is only expected to consolidate its strong position in the compact SUV segment. 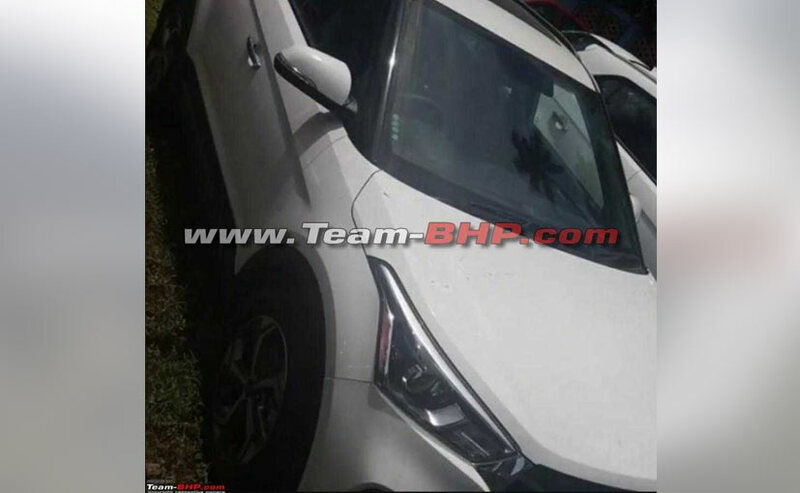 Visually, the 2018 Hyundai Creta facelift will get the new cascade grille, which is now standard on all new models from the automaker. 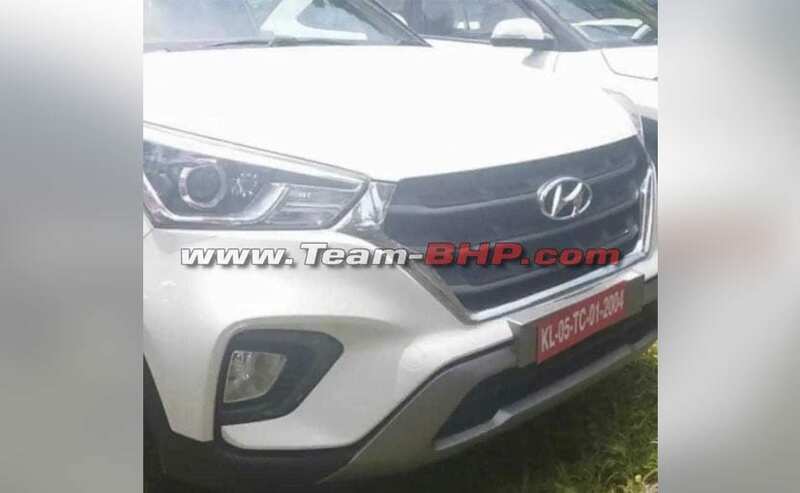 The SUV gets revised headlights with projectors and LED DRLs and position lights, while the bumper is reworked and gets more prominent fog lamp housing. There are no changes to the sides save for the 17-inch alloy wheels. The rear does get new taillights with the bumper now inclusive of reflectors and the skid plate. Leaked documents have revealed that the Creta facelift will be offered in five trims - E, E+, S, SX and SX (O). The SUV will also get the option of a sunroof and there are two new colours as well - Passion Orange and Marina Blue. Inside, the 2018 Hyundai Creta facelift won't see major design changes but lots additional features including height adjustable driver's seat with electrical adjustable function. A new touchscreen infotainment system will be on offer with Apple CarPlay and Android Auto. The SUV will also come with the smart key, cruise control and optional wireless charging. Cosmetic tweaks include revised air vents and exterior colour matching accents. Under the hood, the 2018 Hyundai Creta facelift will continue to use the same engine options including the 1.6-litre petrol and diesel, along with the 1.4-litre petrol as well. Transmission options will include a 6-speed manual and a 6-speed automatic. Hyundai India has been constantly updating its products with the i20 facelift, i20 Active facelift and the Verna 1.4 petrol having been launched earlier this year. The Creta joins this list and the model averaging over 9500 units every month, still remains one of the top selling models in its segment. However, the compact SUV is facing heat with the arrival of the Jeep Compass and the Mahindra XUV500 facelift, both of which are aggressively priced. Nevertheless, the 2018 edition should keep the model fresh and the volumes up for the automaker, even as we expect prices to see a hike of about ₹ 20,000-30,000 depending on the variant.